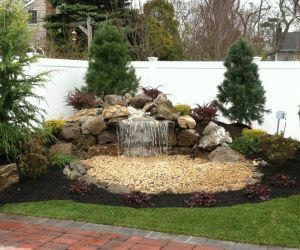 Thank You for choosing Long Island waterfall installers Longo's Landscaping & Masonry. 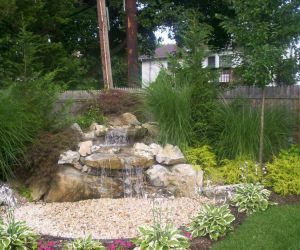 Longo's Landscaping offers construction and installation of waterfalls/ponds to improve the beauty of any front or back yard area. Flowing water is quite soothing and manages to create a peaceful ambience. Waterfalls are the best pick for homes, and businesses. Regardless of where the waterfalls installation is required, we will be there to make it possible for the client. 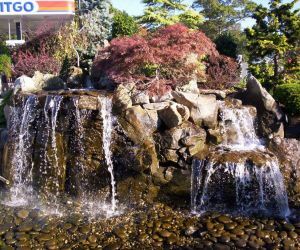 With a team that holds a good experience and expertise in installing waterfalls, we offer premium and quality arrangements. Our installation can be done in such a manner that wastage of water is also avoided. There are multiple varieties of waterfalls that can be built. 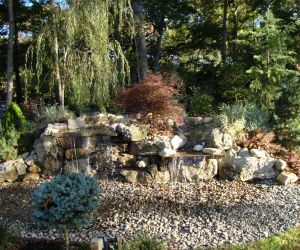 Some of the materials used to create one is moss rock, Long Island Boulders, and cast concrete. A smooth and trickling waterfall goes a long way in establishing an exquisite look and feel for the overall space. 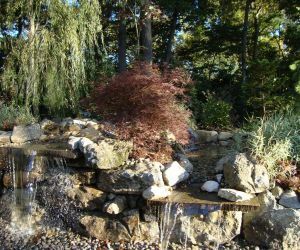 Even if the space is small, the presence of a waterfall can work wonders. We offer cost effective solutions so that things go easy on your wallet. 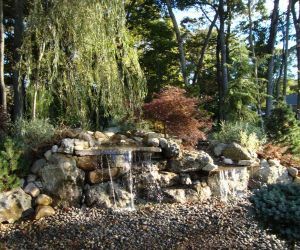 We arrange waterfalls that can create a serene environment. Specifications can differ from one client to another. We fully comprehend and understand the extent of unique and specific demands that a client may require. 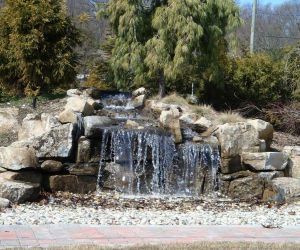 Whatever the specifications maybe, however the demands may be, Longo's Landscaping guarantees an optimal construction and installation of waterfalls in your desired space. 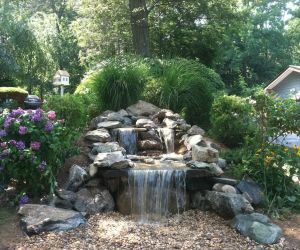 Long Island waterfall builders, Longo's has been designing, building and installing beautiful waterfalls, streams and pond in Suffolk County and Nassau County for over 25 years! 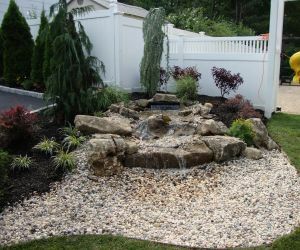 Call our Long Island Waterfall and pond Installation Company at 631-862-8605 for complete guidance. 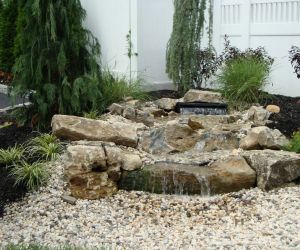 Longo's has been designing & building beautiful water features in Suffolk County & Nassau County since 1980.